Hikari Wheat-Germ is a complete and balanced diets for feeding during the cooler months when the temperature drops. This easily digested formula has a high wheat-germ content which is naturally high in Vitamin E & Linolenic Acid. A superior source of natural protein which can be fed all year round. Koi and larger goldfish when more rapid digestion is required. The amount and frequency of feeding should be based on the temperature of the water, pond condition, the number and size of fish and their activity level. Avoid over-feeding and always remove any uneaten food after the feeding period. For 5-18°C (41-64°F) - Feed no more than twice daily the amount your fish will completely consume within 5 minutes. For best results aim to feed during the warmest part of the day. 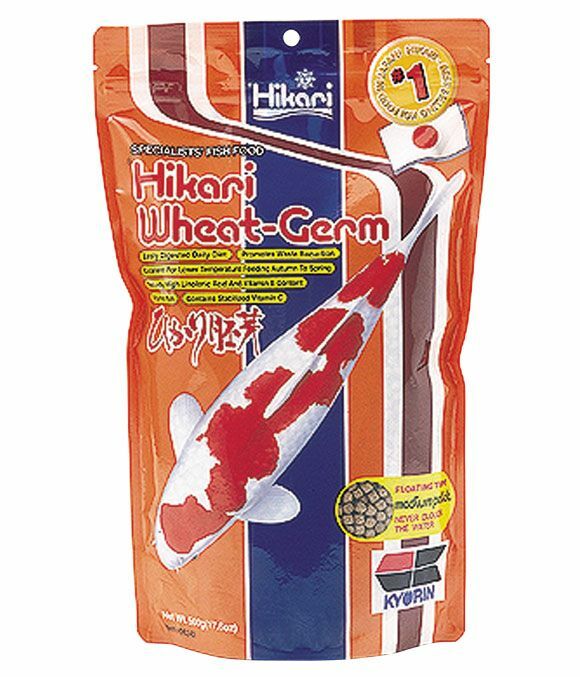 There are currently no questions for Hikari Wheat-Germ Pond Fish Food - be the first to ask one!